(22 reviews) Write a review! The TaylorMade r7 irons each feature extremely slots positioned parallel to the line of the shaft for better traction and a better feel. TaylorMade's exclusive Inverted Cone Technology accelerates ball speed for longer distances. The moderate offset provides a square clubface at impact for excellent control and improved accuracy. Inverted Cone Technology provides higher COR and increased average ball speed for greater distance. Dampening web made of soft aluminum and high tech bonding compound for solid feel. 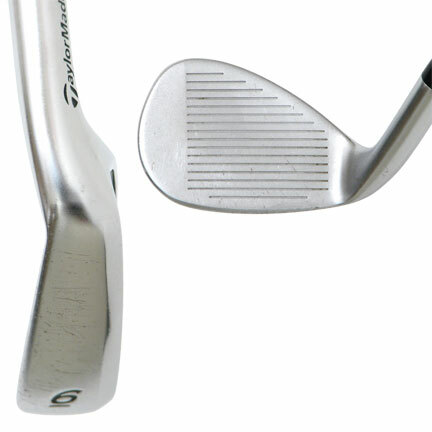 Deep cavity design and moderate offset for added forgiveness. Going out with fellow golfers we have all exchanged and tried all makes of irons among ourselves.We are all mid to low handicap and for the most part we agree that but none have the "feel" or distance like the R7s.A few friends that are only Titleist or Caloway users were convinced to purchase Taylormade irons just because of the feel and control they have.I am looking forward to getting out on the course and trying the new R9s my friend bought and comparing them to my old R7s this year. I had started out with Ping G10 irons which were too lofted for me. When I saw the price on these R7's I had to try them. I saw an immediate difference. The feel is so much better and I am able to hit the ball much futher and truer. They are also forgiving on off center hits. 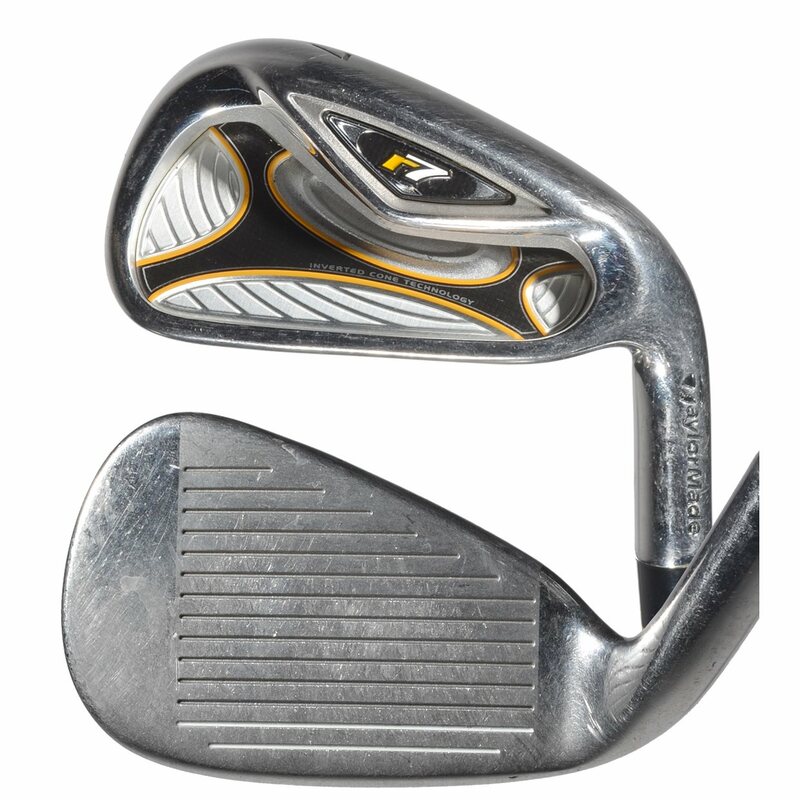 For the price you can not get a better club, even for a few hundred more you cant get better. I am a mid-handicapper and have played the r7 irons with steel regular flex shafts for about a year now. Prior to getting this set I had a really hard time making solid contact with my irons. Since I bought the TM r7's, my iron game has improved gradually but consistently. Love the feel, the forgiveness, and the distance of the r7s. I'm getting to the point now where I have confidence in my iron shots and wouldn't even consider playing a different set of irons. This set was my first "new" set of clubs that I had ever purchased. They are still in my opinion, one of the best feeling, and best looking at address, game-improvement irons that have ever been produced. 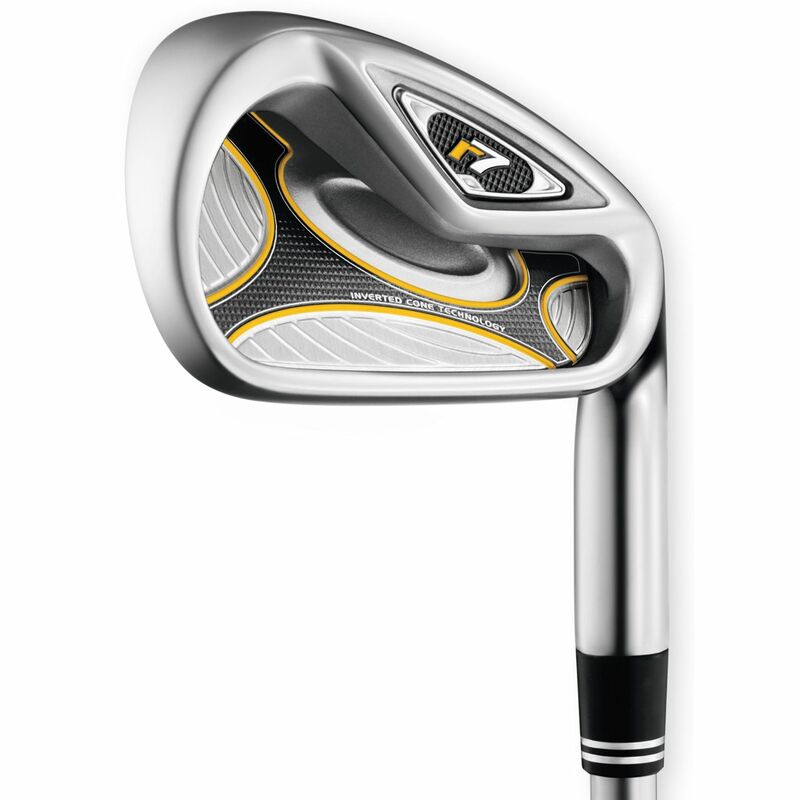 I liked these way better than the R9 irons. The distance was great, the feedback was honest, not harsh, and holding them, I felt confident enough when necessary, to really go after it. If they had less offset, I doubt I would have ever let them go. If you want a great set of irons, with a ton of technology to help you get close to the hole, this set is for you. The only suggestion I have: find better grips. One of TM's most popular clubs ever and for good reason - they do everything well from being forgiving to shotmaking to distance. Really excellent overall.